With this tour you get the chance to discover the oldest pyramids in Egypt, all of which are older than the famous structures in Giza. Our day starts with a trip to the Saqqara necropolis, located northeast of Memphis, where we, witness the oldest standing stone structure - Djoser's step pyramid. The age of this ancient structure is over 5,000 years, and it's not just a single pyramid but a big complex, which includes many ritual structures, some of which we'll visit during our tour. 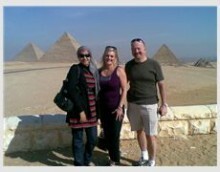 After that your faithful Egypt private guide will take to another famous pyramid complex, Dashur, located in several dozen miles from Cairo along the bank of Nile. This complex is primarily famous for its two pyramids built by Sneferu, the father of Khufu. The Bent Pyramid is considered to be a transitional type preceding the classic straight sided shape, which is embodied in the Red Pyramid standing nearby. The complex used to include eleven pyramids back in the day. However, due to structural flaws as seen as the deteriorated Black Pyramid, there are only few left standing these days. 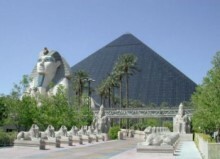 We then head to the ancient city of Memphis, which was established about 5 millennia and has been the capital and important trade center of Egypt for nearly 3,000 years. Today it's a huge open-air museum that houses numerous structures from different periods of history and in different states of deteriorations. There are some very well-preserved statues alongside the remains of much older temples. So it's a fascinating place for all people who are into ancient Egypt and wanting to see at least a part of its former glory. After we finish exploring the complex there will be a lunch in Cairo. This tour is open on a daily basis and takes about six hours. tour price includes guides service fees and private A/C van with expert driver,price do not includes entrance fees,foodand drinks,tipping kitty. Make sure to book it in advance since it's one of the sought-after private tours in Egypt, as it includes the main highlights of the country's ancient history. Price is per tour for 2 persons ,price includes private A/C van with expert driver,guiding service fees,all taxes,police notification letter,price do not include entrance fees,food and drinks,tipping kitty or any exrtras not mentioned in the program.